Wow! 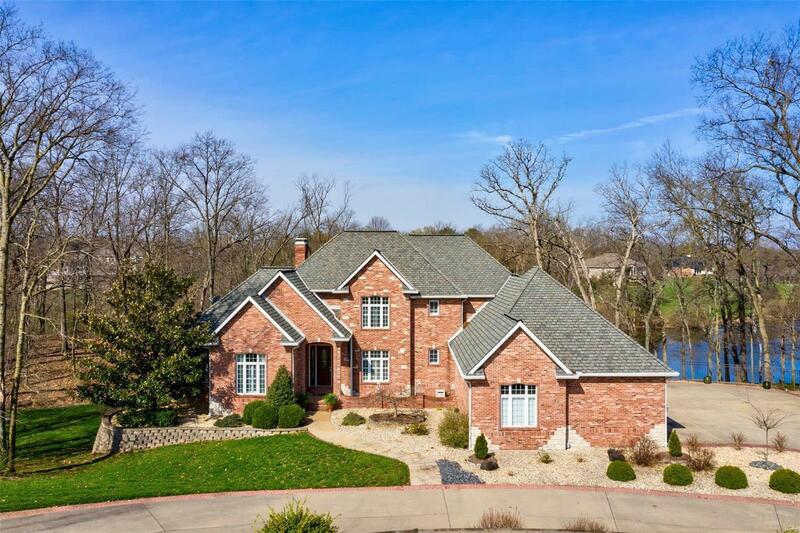 This incredible custom lake home has undergone considerable recent improvements and if you knew about it before, itâs time to come back and have another look. Perched beautifully over a very large lake with a desirable pool complex in back, the home just feels right. The front presentation is well-balanced and yet itâs huge, almost 7000 SF finished plus there is even a nearly 1200 SF garage! The interior is gorgeous and very livable. There is a curved stair and balcony overlooking the main open area. The kitchen features all Amish custom cabinetry and high-grade appliances. There is tons of space in the heart of the home including a large sunken hearth room. The study, din rm and serene master suite finish it off. Upstairs, there are three more bedrooms and as many baths. Downstairs is an entertainers dream with a complete kitchen and utility room complimenting the guest suite; billiards, gaming, bar and home theater rooms as well. See the HD video and 3D tour now! Hurry!